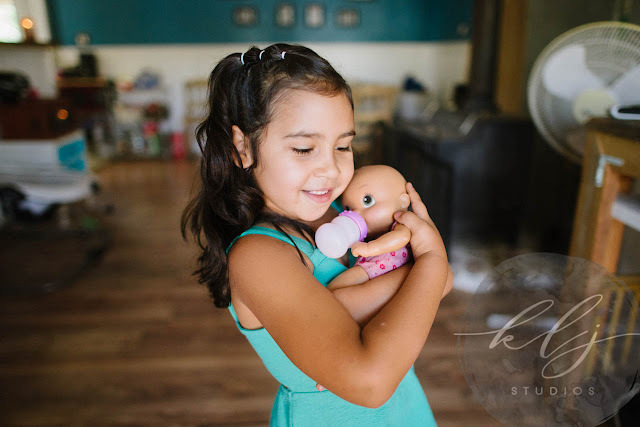 On Saturday, July 14th, 2018, KLJ Studios Photography headed to the home of Brandi, Jose, Allyanna, Danielle, and Ebrie in Knights Landing for in In-Home Lifestyle Portrait Session. Jose is a talented Sous Chef at Morgan’s on Main Street in downtown Woodland, California, which happens to be one of KLJ Studios’ absolute favorite restaurants in Woodland, California. Jose and Brandi’s children were an absolute delight. 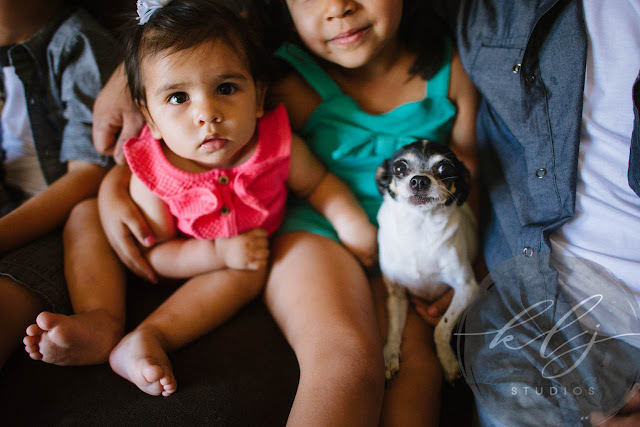 Allyanna loves her baby doll, Danielle is a big fan of carrying around Peanut, the dog, and Ebrie smiles all the time! 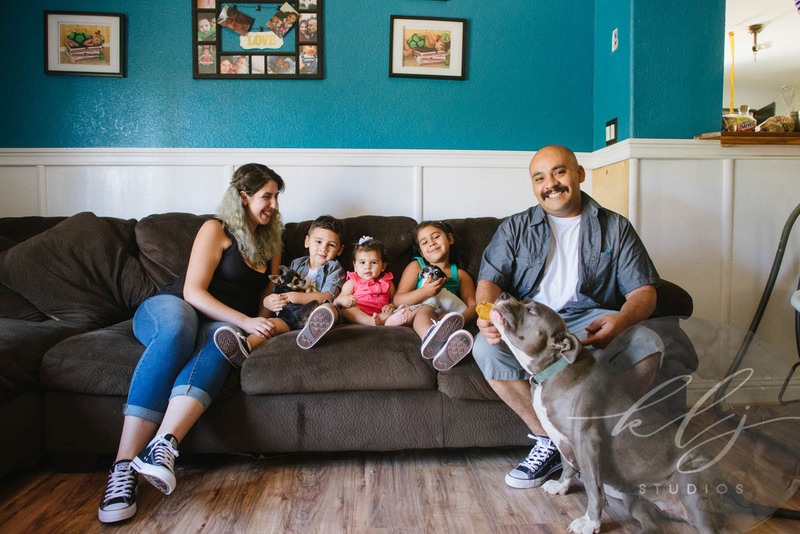 Since the addition of Ebrie to the family, Brandi and Jose have needed updating to their family portraits, and Lifestyle Portraits are the perfect way to celebrate life and family. Bethany Petrik was the lead Lifestyle Photographer for the Family Lifestyle Photography shoot, Kelly Lynn Jordan was the Second Shooter, and Veronica Pinzon had the pleasure of taking care of makeup for the family’s gorgeous mother, Brandi. Throughout the Family Lifestyle Portrait Session, we all had an absolute blast! 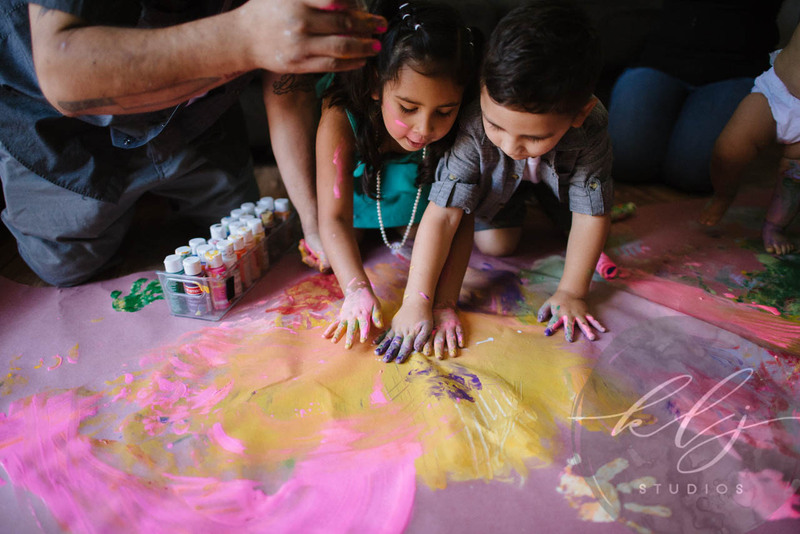 The family made pancakes (Danielle ate most of the chocolate chips), Ebrie had an impromptu sink bath, and the entire family made an artistic masterpiece when everyone finger-painted together. Speaking of masterpieces, it turns out that Jose is not only a talented Sous Chef, but he is also incredibly artistic in other ways. 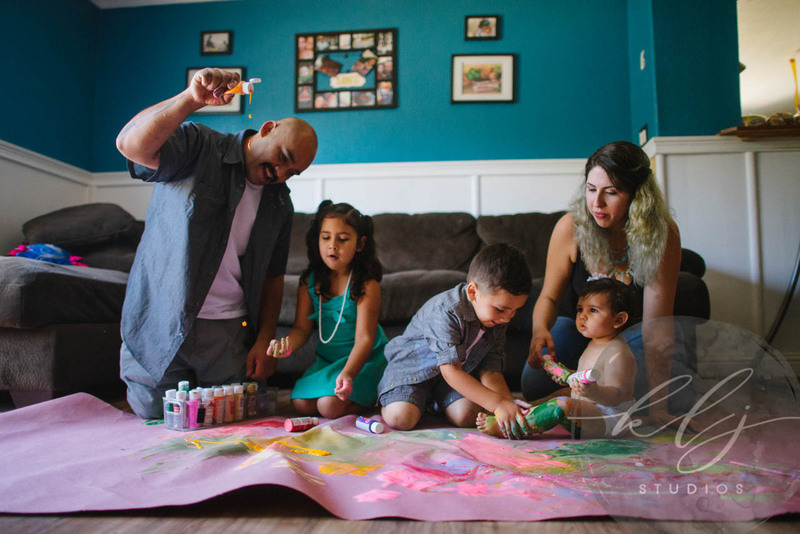 Jose’s paintings can be found prominently displayed throughout the family’s household. The family was incredibly laid back throughout the entire process. The house was immaculately clean, but there was no worry about making a mess in the kitchen or painting in the living room. This house is filled with love, and it shows. We truly loved the fact that all three of their dogs are named after food: Peanut, Jelly, and Cookie. Thank you so much for honoring KLJ Studios by allowing us into your amazing household for the day. Your family is so full of love, and the pictures turned out amazing. KLJ Studios of Northern California, KLJ Photography Studio and KLJ Beauty Studio, are located in Yolo County at 424 1st Street in Historic Downtown Woodland, California. To inquire about our photography and beauty services in Norther California please call our Northern California Studios at 530.723.5332, or send an email to [email protected]; please include your name, the best method for reaching you, where you are located, and a message detailing your needs.